Rodeo star Grady Owen has a new challenge. No-nonsense Alexa Benjamin is tougher than any bull he’s ever faced…but she sure is a whole lot prettier! Not that Grady has time for much between caring for his twin nieces, rebuilding his family’s farm and training. Trouble is, the more he tangles with Lex, the more he wants to win her heart. Lex is drawn to Grady…in spite of herself. 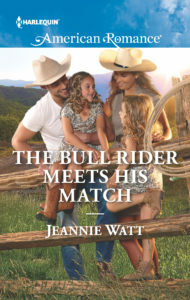 But ever since her bullfighter father died in the ring, she’s determined to never need anyone again. She’s afraid, and Grady is all about facing fear head-on. Taking a chance on this bull rider is unthinkable…but so is the idea of letting him walk away!